Chanting this mantra, or simply playing it in the background as you go about your daily activities, is recommended for overcoming depression and low self-esteem. 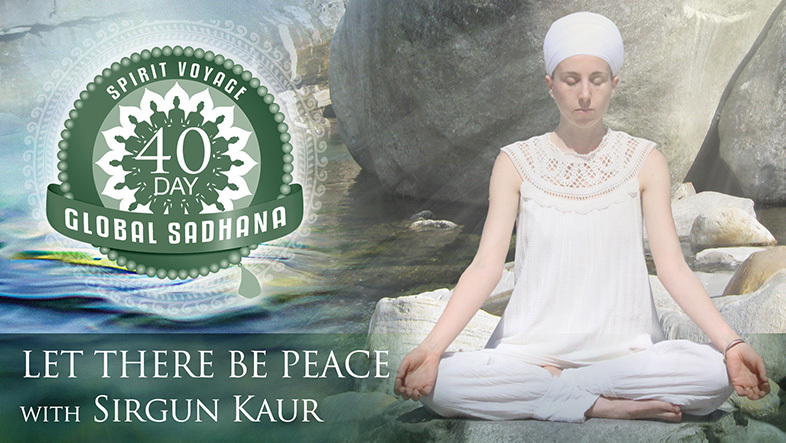 The Mul mantra is a mantra used in Kundalini Yoga to transform depression into self-knowledge and low self-esteem into life purpose. Ik Ong Kaar, Sat Naam, Kartaa Purakh, Nirbhao Nirvair, Akaal Moorat, Ajoonee, Saibhang Gur Prasaad, Jap. Infinity's Cup is Sirgun Kaur's official blog. It is regularly updated with videos from shows, inspirational stories, news updates, and more. The Power of Gratitude to heal everything. I am so floored to announce that my INSIDE THE RIFT interview is now live on their website. I was really excited by the questions they asked. The Gift in Every Moment Is a New Perception! Greetings, On Sunday morning I awoke in a panic because of the light outside my window. It was way too bright to be 5:30am. I had slept in! It was 7:47am and I had a rehearsal at 7:45! I have a new video for you! Thanks to the lovely Kimra for shooting this at Yoga Phoenix on Saturday night. We had a magical time. This song only has one word. MA. MA. MA. Greetings! 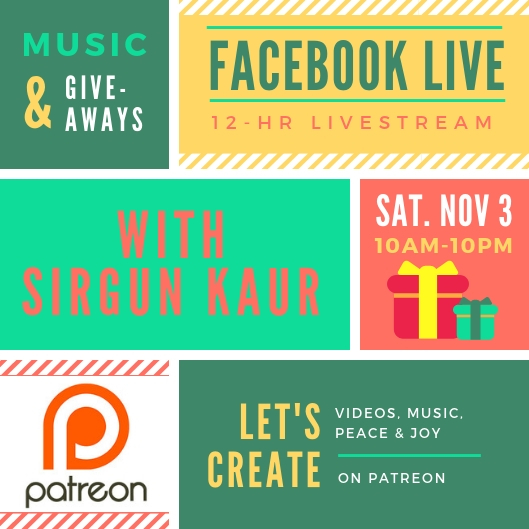 On Saturday, November 3rd I will be doing a 12-hr livestream to launch my PATREON PAGE! From 10am-10pm I will be talking to you, playing music for you, doing a bunch of GIVEAWAYS. Greetings, So honored to be featured in SPIRITUAL BIZ MAGAZINE. To read the full interview, click here. 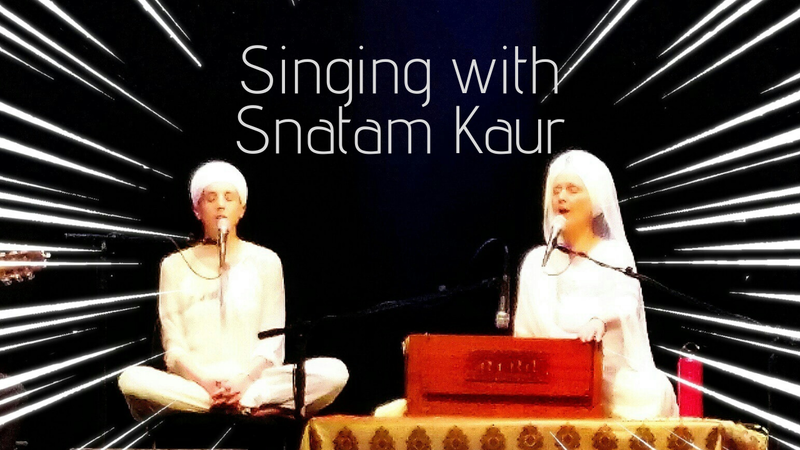 This Saturday, November 3rd at 7pm, Monica Page Subia and I will be vibing up the HOUSE (or rather, Yoga Phoenix) with some sacred chant. Today I want to share a new song with you! It's available on Spotify and YouTube. 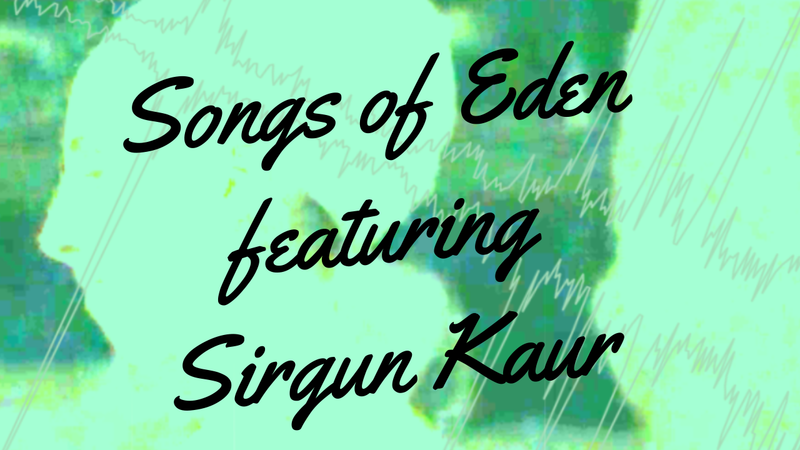 This is a collaboration with a tremendously talented musician, composer and producer who goes by the name SONGS OF EDEN. 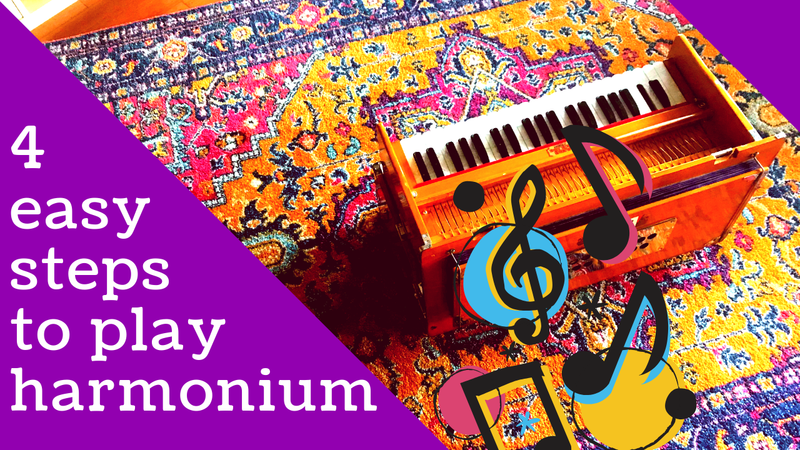 If you are interested in playing harmonium for yourself, I have another great video for you! This one outlines how to play "Wahe Jio" from my album THE COSMIC GIFT.